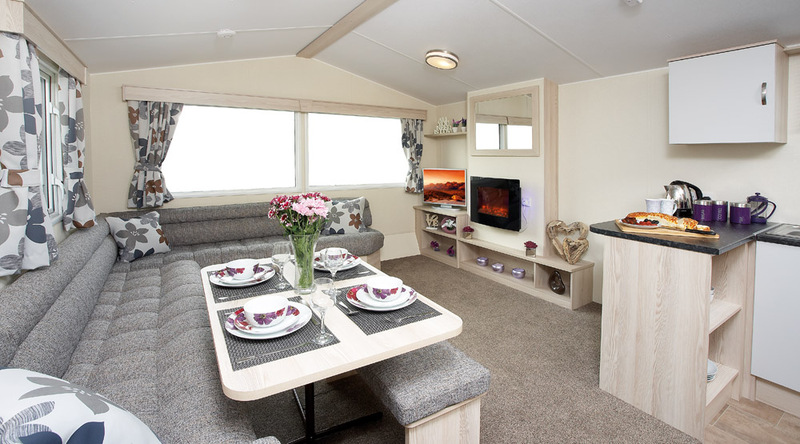 As part of our updated and new fleet the Moonstone is available with an array of high quality features usually only found on more luxurious models including central heating and double glazing as standard allowing full comfort all year round. To provide extra living space, the spacious lounge and dining area with large L-shape seating with fold-out bed is complemented by a hideaway folding dining table and stools. A glass flame effect electric fire complements this stylish living area. 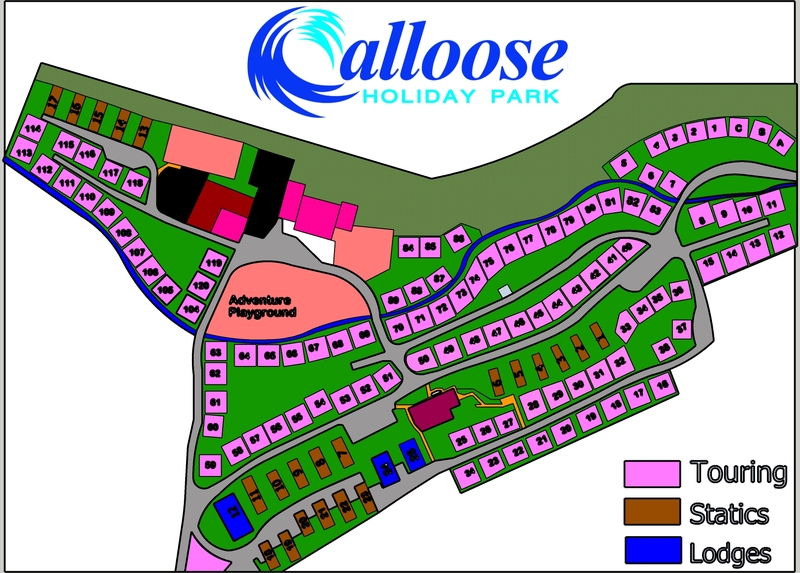 Two bedroom and with two toilets, the Moonstone has a unique and imaginative family friendly layout. 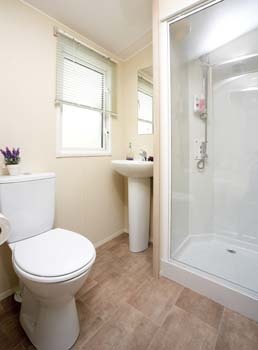 there is also a family bathroom with roomy shower. 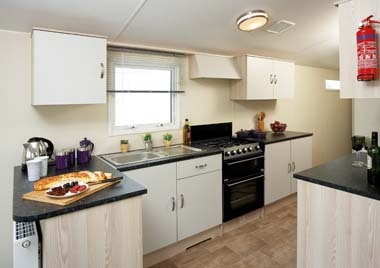 Kitchens have a full size cooker, microwave oven and fridge. 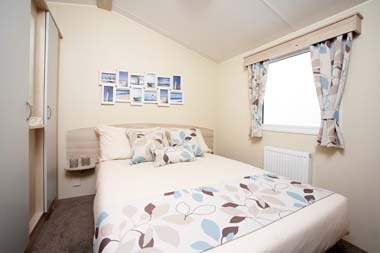 40″ TV with Free-view.The Atlas Moonstone has a double and twin bedroom. 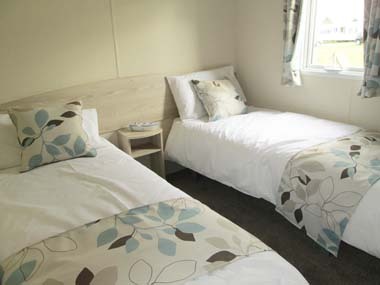 There is also a sofa bed in the lounge so can sleep up to 6 people. Carpets and furniture are reviewed annually and replaced as and when necessary to ensure the highest of standards.